Koga Entertainment, organizers of Koga Top Ten Mics have concluded plans to end the year on a high note by thrilling fans at the leading Lagos mainland musical concert aimed at celebrating Nigerian underground and established musicians in Lagos, Nigeria this December. 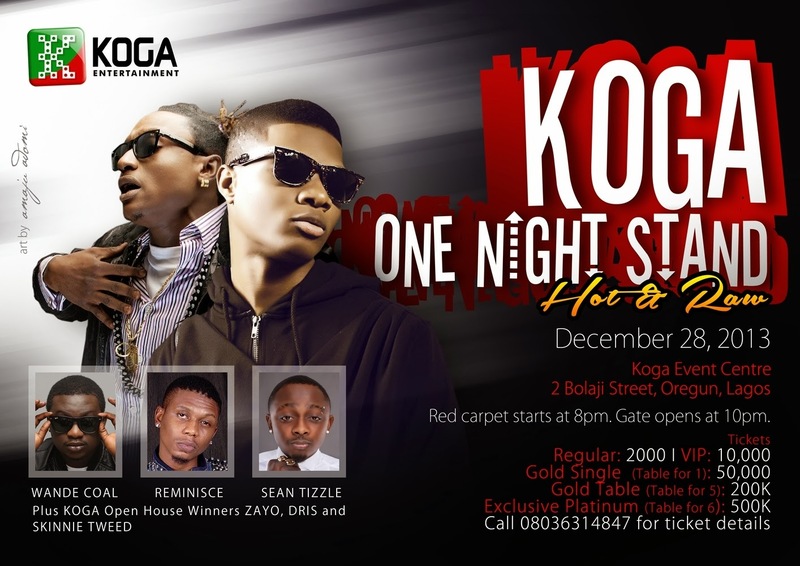 Tagged “Raw and Wild”, this month’s edition of Koga One Night Stand will hold on December 28, and according to the organizers, fans should expect the best Christmas performance from Nigeria’s biggest music export: Wizkid. The King of the streets Terry G will join Wizkid on stage. 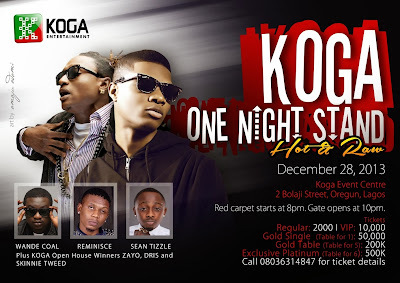 Besides providing quality Entertainment for which One Night stand is known for, the concert will provide a platform where the giant strides of acts signed to Koga Entertainment will be showcased. The music fiesta will also play host to Koga Open House Winner Zayo alongside First runner up Dris and second runner up Skinny Tweed. Known for his ability to relate to the streets with his lingua, Reminisce will take the fans through a number of songs alongside Wande Coal and Sean Tizzle.